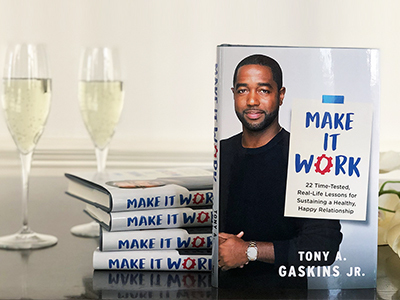 In his new relationship guide, MAKE IT WORK, author Tony A. Gaskins Jr. highlights how important it is for couples to keep it hot and never stop dating. And what better way to take his advice than by enjoying a romantic, relaxing evening out with the one you love most? That’s where this sweepstakes comes in, because Tips on Life & Love wants to send you on your next date night! Enter our Make It Work Date Night Sweepstakes between now and March 31, 2019, for a chance to win gift cards toward dinner and a movie for two, plus a signed copy of MAKE IT WORK! 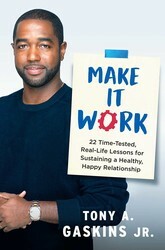 Plus, four First Prize winners will receive a signed copy of Make It Work by Tony A. Gaskins Jr.! Share Enter for a Chance to Win a Romantic Date Night!